participants have opportunities to engage in cultural activities or events outside of work by planning, initializing, and carrying out events or other activities that provide participants’ exposure to U.S. culture. (1) Sponsors and third parties acting on their behalf may not pay or otherwise provide any incentive to employers to accept program participants for job placements with such employers. (2) Sponsors must confirm initial, replacement, and additional jobs placements of all Summer Work Travel Program participants before participants may start work by verifying, at a minimum, the terms and conditions of such employment and fully vetting their host employers as set forth at paragraph (n) of this section. Once participants have arrived in the United States and identified initial, replacement, or additional jobs, sponsors must vet such jobs within 72 hours. (3) Sponsors must not pose obstacles to job changes, but must offer reasonable assistance to participants wishing to change jobs regardless of whether their jobs were secured by the sponsors (direct-placed) or by the participants (self-placed). (ii) Provide opportunities for regular communication and interaction with U.S. citizens and allow participants to experience U.S. culture. 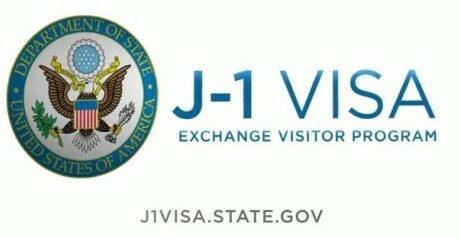 (iii) For which there is another specific J visa category (e.g., Camp Counsellor, Trainee, Intern). (iii) Staffing agencies must effectively control the work sites, e.g., have hands- on management responsibility for the participants. openings with exchange visitors with staggered vacation schedules. (8) Sponsors must use extra caution when placing students in positions at employers in lines of business that are frequently associated with trafficking persons (e.g., modelling agencies, housekeeping, janitorial services). (9) Sponsors must consider the availability of suitable, affordable housing (e.g., that meets local codes and ordinances) and reliable, affordable, and convenient transportation to and from work when making job placements. (i) If employers do not provide or arrange housing and/or transportation, or if participants decline employer- provided housing or transportation, sponsors must actively and immediately assist participants with arranging appropriate housing and transportation. (ii) If employers provide housing and/ or transportation to and from work, job offers must include details of all such arrangements, including the cost to participants; whether such arrangements deduct such costs from participants’ wages; and the market value of housing and/or transportation in accordance with the Fair Labour Standards Act regulations set forth at 29 CFR part 531, if they are considered part of the compensation packages. (16) After November 1, 2012, in positions in the North American Industry Classification System’s (NAICS) Goods-Producing Industries occupational categories industry sectors 11, 21, 23, 31–33 numbers (set forth at http://www.bls.gov/iag/tgs/iag_index_naics.htm). (ii) Pay and benefits commensurate with those offered to their similarly situated U.S. counterparts. (ii) The employers compensate participants on a ‘‘piece’’ basis (e.g., number of rooms cleaned). If at the end of each pay period, the participant’s earnings under the piece rate do not equal at least the amount the participant would have earned had the participant been paid the predominant local wage as provided in sub paragraph (1), the participant’s pay must be supplemented at that time so that the participant’s earnings are at least as much as the required local wage as provided in sub paragraph (1). (3) Sponsors must ensure that appropriate assistance is provided to participants on an as-needed basis and that sponsors are available to participants (and host employers) to assist as facilitators, counsellors, and information resources. (5) In those instances when the employer provides housing or transportation, agree to provide suitable and acceptable accommodations and/or reliable, affordable, and convenient transportation.